FERNANDO VINCENT, CEO/FOUNDER, is a highly creative professional, with an incredibly accomplished track record of skillful entertainment marketing, who for over 18 years, has been successfully using urban communication tools and branding as a way of life. He is considered by many to be one of Midwest’s leading independent creative consultants and entertainment developers. Fernando is a creative consultant with proficient knowledge that evolved from independent and creative direction, development of special events and projects encompassing all facets of entertainment, including clubs/club nights, concert promotions, promotions and marketing for major recording artists, promotions for film and soundtrack, and has creatively developed and produced for television. 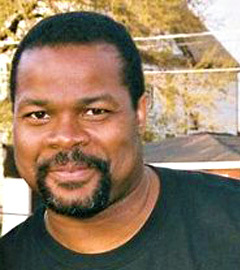 He has worked with the following individuals in a variety of capacities including Promotions, Marketing, Special Events, Concert Promotions, Special Project Development and Implementation: Melba Moore, Salli Richardson, Danny Boy, Harry Belafonte, Outkast, Public Enemy, Groove Theory, Mary J Blige, 112, Chaka Khan, Bones Thug N Harmony, Brandy, Eve, George Tillman Jr., Boyz II Men, Blackstreet, Cee-Lo, Monica, Total, Lil Kim, Xscape, Diddy, LL Cool J, Usher, Ashanti, Do or Die, Foxy Brown, Brownstone, Crucial Conflict, R. Kelly, Dru Hill, Snoop Dog, Twista, Ann Nesby, Busta Rhymes, and Jay-Z, among others. REVIN FELLOWS, COO/CO-FOUNDER, has been a prominent force in the Chicago Metropolitan area for more than two decades, dedicating a large portion of his career to community empowerment and being the primary strategic advocate for programs and projects that elevate “underserved” families consisting of seniors, adults, young adults, teens, ex-offenders and single parents. Through the use of excellent communication skills, professional expertise with social services and formulation of key political relationships, he has sustained liaisons and strategic alliances that effectively and efficiently facilitate executions of plans resulting in notable successful outcomes for the community, businesses, public agencies and private agencies alike. Revin’s impressive experience includes: Vice Chairman, National Black Agenda Consortium; Former Family Focus Lawndale Program Coordinator (for 15 years); Former Director of Mission Men Father Support Group (for 10 years); Director of Research and Community Outreach of National Block Club University (a Network of 250 Block Clubs); Former NCAA Division 3 Assistant Men’s Basketball Coach at Aurora University; United States Minority Contracts Advocate, Greater Far South Halsted IL RT 1; Chambers of Commerce Advisory Board; Employment Plan, Co-Author of “Blacks To Work State Government”; Legislative Advocacy 2010-22 Passed; Campaign Liaison for State Representative, LaShawn K. Ford of Eighth District; and Small Business and Workforce Development Advisory Group. 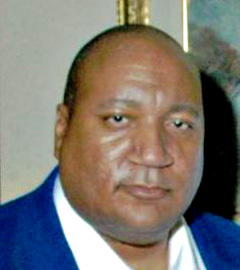 ALVERTIS RAIFORD, EXECUTIVE V.P. OF BUSINESS OPERATIONS/CO-FOUNDER: Is a native of Chicago’s West Side. As a military brat he traveled extensively and was exposed to different cities with varying cultures. Working as a Junior Youth counselor and lifeguard, he has always had the passion to help and teach younger people. After three years of living in Japan he returned back to Chicago and began working for the Law Offices of Chapman and Cutler LLP as a Office Service Clerk and later a Paralegal professional in the Public Finance Department. As a paraprofessional, he assisted in the process of mergers, acquisitions, financings and other corporate transactions; including due diligence, disclosure schedules, regulatory filings, ancillary agreements, coordination of closings, and post-closing transition and compliance, maintaining corporate archival processes for business records, including organizing and maintaining corporate ownership documents, conducted legal research, assisted with special projects for legal, operations and other corporate departments. Has also organized, supervised, managed and produced a variety of promotional, entertainment and special events such as: developer/manager/party for Crown Point, promoted and organized Strawberry Festival in Grant Park; organized and promoted Battle of the DJ in Yokohama, Japan, and “Mid West is Cracking” Tour throughout the southern regions of Illinois. As a husband and a father of three, who later adopted a child, Al has always demonstrated his love and compassion for children. At St. Mark’s Missionary Baptist Church, he served as a Youth Director under Bishop Willie L. Jordan. Alvertis has also volunteered for many not-for-profits such as Ladder Up and the Sparks Program. While working with these agencies he saw a need to reach youth in a way that would excite them and bring forth a positive change in their lives. With that as his ultimate goal — BOOKS OVER BALLS was formed. 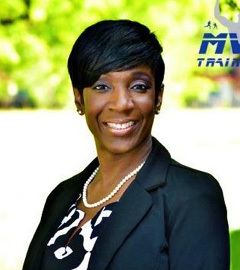 KIM HUNTER MVP TRAINING DIRECTOR OF WORKFORCE DEVELOPMENT: Books Over Balls has established a collaborative partnership with M.V.P Training to provide Workforce Development; College/Career Readiness; Social-Emotional Learning for all the young men who participate in our program. Kim Hunter is an accomplished student development professional with 20+ years in youth service provision including guidance counseling, workforce development and post-secondary education planning. Kim is a strategic, analytical and innovative specialist with a proven track record in implementing positive supports and interventions to foster the overall success of high risk student populations. Experienced Change Agent with an astute ability to create/execute plans to improve academic performance and produce positive outcomes on all fronts for disadvantaged youth, specifically young men. 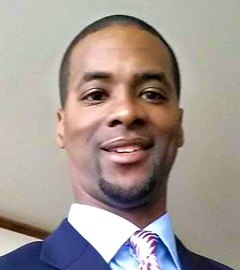 DARREN POWELL DIRECTOR OF COMMUNITY RELATIONS & OUTREACH : Darren Powell is a Husband, Father, and Community Leader. Darren is a life producer and an author that was born and raised in the Englewood community. He also has 20 plus years in commodities and is knowledgeable in worldwide markets, where he has worked for and with Fortune five hundred companies from Tokyo, France, the Middle East, London and the United States. 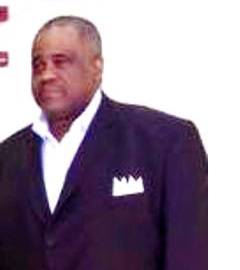 He currently sits on the board as President for Hamilton Park, Park Advisory Council. For over ten years he has been involved with politics, community outreach and education to strengthen our youths’ future. Also, he has been an advocate for better funding for programs and against out of school suspension bringing his concerns to the table while sitting on Bogan H.S (LSAC) Local School Advisory Council as a parent representative. He further chose to stay on as a community representative of Bogan H.S. (LSAC) even after his son graduated. In addition, he also serves on the (LSC) Local School Council at Harvard School of excellence as a community representative. In the year of 2005 He started his organization Why Community Development as Founder/CEO and a board member where he pushed for positive change by starting a campaign, we don’t just want to just exist but we want to make a difference.’ His mission continued to 2015 which was one of his most active years. He has pushed for programs with substance, that make a real difference such as the time substitution program, the baby sitting program and non-wasteful programs. That’s why he is an advisor and supporter for LT’s and the youth of Englewood, the Director of Youth and Community outreach for the 17th ward, a Training Coordinator for MVP Training. He also feels the position of Community Relations & Outreach for BOB is one of the most important positions he has ever held because it’s about serving the community and the chance to change the lives of our young men. Darren sees this as a chance to unify and create partnerships with our residents, churches, businesses, politicians, schools, parks and organizations. 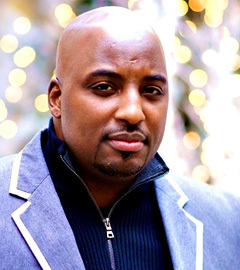 COACH KEVIN WOODS CHIEF STRATEGY OFFICER (CSO): Founder of 4TH QUARTER, Youth Basketball of America Chicago Area Director: responsible for developing and the Implementation of YBOA Programs in the Chicago Area. Create a working budget for programs through sponsorship and recruitment of surrounding Club Teams. Manage and coordinate winter, spring, and Summer Events: Unsigned Seniors (Helped over 100 seniors find colleges) Weekend Tournaments-Grade- High School (Boys and Girls) in preparation for National Tournament, Summer Leagues (3) and Basketball Camps (4), all with a High Revenue Base. Malcolm X College Associate Head Coach Men’s Basketball: responsible for assisting with all phases of NJCAA Division 1 basketball program, including practice and game coaching, scouting, recruiting, player development, academic monitoring, player promotion into 4 Year Schools. COACH CURTIS BROWN CHIEF BASKETBALL ADVISOR COLLEGE EXPOSURE & TOURNAMENT DEVELOPMENT: What started out as helping his youngest son`s freshmen high school basketball team has now evolved into nine seasons coaching the freshman thru varsity level boys basketball teams at Christian Fenger Academy and Corliss Early STEM high schools in The Chicago Public League. The 2015-2016 season will be the fourth season that Curtis will be heading the Corliss Trojans Boys’ Basketball program. For over five years Curtis has hosted an unsigned senior basketball showcase that allows kids from throughout the Midwest to show off their skills live and via internet streaming to college coaches across the country. The Midwest Exposure Camp has had participates from as far away as Kansas City, Detroit, and Toronto Canada. Thru the Midwest Exposure Camp and other efforts Curtis has helped connect many student athletes with college coaches that have turned into a combination of athletic and academic scholarships for young men. Curtis has worked many high level basketball camps and clinics of NBA players such as Will Bynum (Detroit Pistons), Dewayne Wade (Miami Heat), and the prestigious McDonalds Skills clinic held annually in Chicago, IL hosted by Christian Laettner and Blue Chip high profile camp in Georgetown, Kentucky that is entering its thirtieth year of existence. From his community and the Chicago Public League Curtis has mentored and coached two professional basketball players that are currently playing overseas Lance Williams (DePaul 1998), Deonte Watkins (Robert Morris 2011) two division I players Phillip Green ( St Johns 2015), Jamari Traylor (University of Kansas 2016) and many players at community colleges throughout the country. COACH KASON WHITTEN LIFE COACH/MENTOR HEAD COACH/DIRECTOR OF BASKETBALL OPERATIONS: Coach Whitten is beginning his first year as the head coach of Doolittle Middle School 8th grade team. 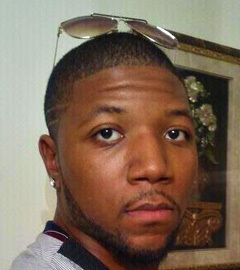 He is a graduate of Jackson State University with a Bachelor’s degree in English. He also has earned a Master’s of Science degree in Management with a focus in Leadership from Belhaven University. 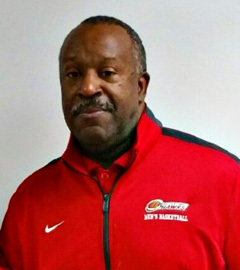 Coach Whitten has 23 years coaching experience overall. He has coached 5 year olds all the way up to professional men’s basketball. During his time, he has made stops in NCAA division 1, NAIA division 1, and Professional Basketball League levels. He has had the privilege of coaching international players and has seen several of his players go on, from the collegiate ranks to play overseas (Bolivia, Argentina, Mexico, China, Singapore, and Taiwan, to name a few). 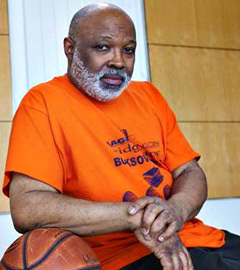 In addition to his duties on the basketball court, he has taught school and is currently a senior teacher at Urban Prep Academy – Bronzeville campus. He teaches British Literature and Advanced Placement Literature and Composition courses. Furthermore, his career aspirations have begun to take shape in the form of motivational speaking and becoming an author of his first book. The main driving force of his commitment to the game of basketball, motivational speaking, writing, and teaching is influencing as many people, positively, as he can. Coach Whitten believes that everyone can be successful with the tools and skills that they possess when a person is encouraged, motivated, inspired, and dedicated to developing them daily. JASON MCCLINTON LIFE COACH/MENTOR ASSISTANT COACH: has been actively involved in basketball for over 8 years including playing for Merrillville High School, a short period at Prairie State and also for the American Basketball Association. Jason is one of the top Default Resolution Collection Specialist at FMS Corporation; who is a goal driven professional with over 5 1/2 years of combined collections experience with a marketing/client relations background; in a customer service environment. He has a strong passion to reach urban young men to present another image of success other than the streets; one of business, corporate, being a productive citizen in society and the community. 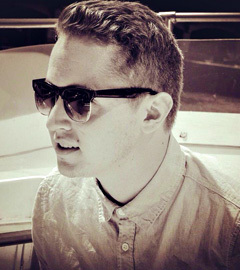 PAUL BIANCHI LIFE COACH/MENTOR ASSISTANT COACH & DIRECTOR OF CORPORATE PARTNERSHIPS: Paul Bianchi is a young professional that strives for greatness every day. He is someone who is always looking to improve and grow. But not only does he have a desire to do those things for himself, he also wants to help others do the same. His path to Books Over Balls is a tale of a man recognizing a problem, and deciding to come together with individuals following a dream in order to help to create a change.PAUL BIANCHI LIFE COACH/MENTOR ASSISTANT COACH & DIRECTOR OF CORPORATE PARTNERSHIPS: Paul Bianchi is a young professional that strives for greatness every day. He is someone who is always looking to improve and grow. But not only does he have a desire to do those things for himself, he also wants to help others do the same. His path to Books Over Balls is a tale of a man recognizing a problem, and deciding to come together with individuals following a dream in order to help to create a change. He mentioned that around late 2014, his senior year in college at the University of Illinois at Chicago (College of Business), he noticed a recurring theme. As he began to watch the news every day, he noticed that the local news was always focused around Chicago’s prevalent violence and senseless murders. Often noticing these actions were affecting the young people of Chicago. During that same period of time, he realized he had a desire to be a basketball coach for the youth in Chicago. Browsing the Internet, he stumbled upon a listing that Books Over Balls had posted, requesting a volunteer to coach young individuals and mentor the youth. So he filled out the application, and received a call from Fernando Vincent. This is a call that Paul says, “changed my life for the better. It provided me the opportunity to make a positive impact on the lives of others. When he’s not volunteering with BOB and playing/watching basketball, he enjoys spending time with his family, girlfriend, and his friends. His professional career since his graduation at the University of Illinois at Chicago, has taken him on a journey through an organization called MSDS online and a company he joined recently, LinkedIn. LinkedIn is where he just began his position as a Sales Development Specialist on January 4th, 2016. He utilizes the experience he’s gained from his professional and personal life, to help the youth of Chicago. The light that is his passion for BOB, shines very, very bright. He believes that anything that is worth doing is worth over-doing.